A piece I contributed to NPR’s PG-13 Risky Reads features stepmothers, Salman Rushdie, and Satan. Bonus feature! 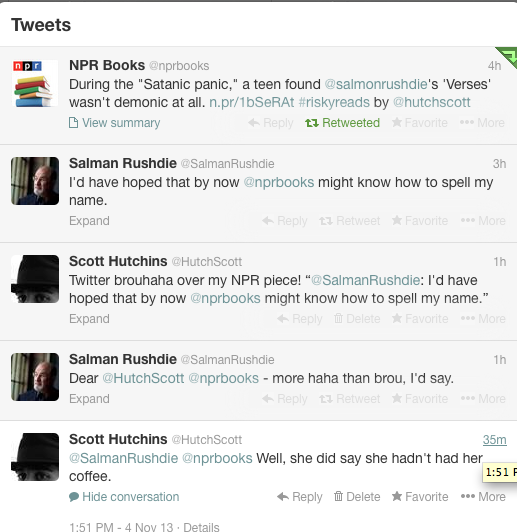 I got to swap tweets with Salman Rushdie, who was miffed about NPR misspelling his name. I’ll humbly point out that I got in the last pun. This entry was posted in News and tagged Risky Reads, Rushdie by admin. Bookmark the permalink.